Specialising in self-catering family/group holidays for people with disabilities. Manor Farm is a smallholding situated on the unspoilt West Cumbrian coast between the sea and the moorland slopes of Black Combe. 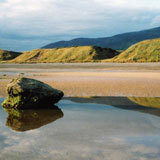 We are surrounded by quiet farmland, abundant wildlife and beautiful safe award winning beaches. Our converted accessible barn is on the edge of the village and a short walk from the sea. Millom, the nearest town, is less than three miles away and has all the necessary facilities including supermarkets, local restaurants and a railway station with good links to Lancaster and the main west coast line service. A wheelchair accessible taxi service is available in Millom. Owners Maggie and Imtaz have converted the barns into accessible accommodation. They have used their experience in health care to create specialised holiday accommodation for people with all levels of disabilities along with their families or carers. 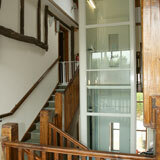 Windrush Barn has been converted to a high standard specifically for people with disabilities. This self-catering holiday accommodation is available for families with a disabled relative or groups of people with disabilities and their carers.